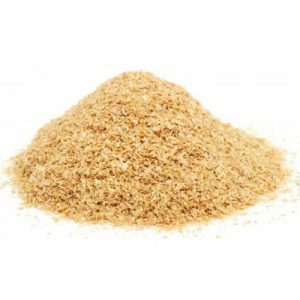 How To Make DIY Body Scrub? If you want to do something good for your skin, treat it to an exfoliation regularly – also called exfoliator or scrub. The cream, which contains small abrasive particles, smoothes rough areas on the face or body and removes dead skin cells. And to create it as natural as possible and to your taste, you must try our delicious and effective scrubs to make your own! Our skin is exposed to stress every day: cold, wind and heating air dry it out, cause irritation and redness or promote the formation of pimples. A scrub, the word comes from the English verb “to peel” and means “peel,” removes dead skin dandruff and stimulates blood circulation. Also, depending on the composition, the skin is supplied with moisture or fat. For example, peels help with blemishes, blemishes, acne, calluses, cellulite, and scars. The face or body is gently rubbed off with small, granular abrasive particles (e.g., salt). The result: Old skin cells make room for new, clogged pores open and the complexion radiates because it is well supplied with blood. Plus: The skin feels silky smooth afterward. The advantage of doing your exfoliation yourself: you determine the ingredients and know what’s in it. In contrast to conventional cosmetics, you do without on preservatives and environmentally damaging microplastics. To visibly improve your complexion, you should use a facial and body scrub maximally once a week, because otherwise it irritates sensitive skin and dries out. Always mix the self-made peeling fresh and dispose of any leftovers! 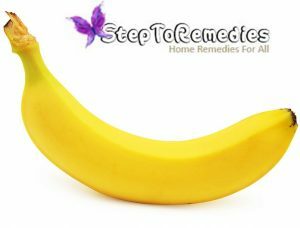 Distribute the peeling in gentle circular movements and allow to work for a few minutes. And now have fun with our recipes: make scrubs yourself. Gentle exfoliation for winter-tired skin: Cut a ½ pineapple into pieces and chop with 100 ml of water in a blender. Add 2 tablespoons of cornflour and 2 teaspoons of olive oil and mix well again. 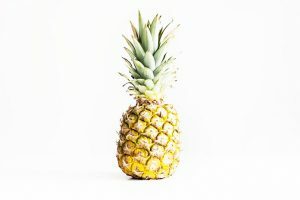 Massage the pineapple is peeling into the face or on your body well, let it soak in for a short time & then wash it off with plenty of lukewarm water. Brittle lips become tender again with this excellent avocado peeling! 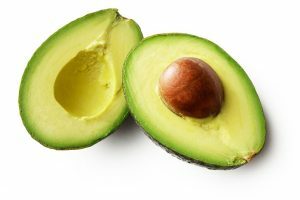 Mix ½ tablespoon of liquid honey, a little sugar and a few drops of avocado oil. Use the scrub to the lips and massage lightly with your fingertips. Leave for 5 – 10 minutes and then rinse off with water. For this, mix 400 g brown sugar, 60 ml lemon juice, 10 drops of lime oil, 30 ml rosemary oil, 2 tablespoons baking powder and some rosemary leaves and fill in an empty, clean bottle or jar – so you can pee daily under the Use shower! Use the scrub to the body, A lime rosemary scrub is a great beauty recipe against spring tiredness! Freshly squeezed lemon juice invigorates the skin, rosemary oil helps against tiredness, and lime oil refreshes body and senses with its spicy citrus fragrance! mix one tablespoon of grated ginger, coarse sea salt, and little olive oil, apply to the face, let it soak for 10 minutes and then rinse thoroughly. 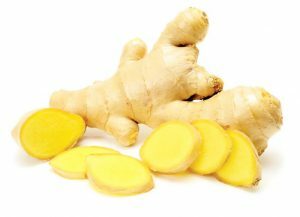 Ginger is not only famous as a spice in many dishes but with its stimulating, circulation-promoting and warming properties, the fresh tuber has long since found a permanent place in cosmetics. For a refreshing “hi-awake” feeling. Cut a huge tomato into small pieces and mix with a ½ cup cornflour and 3 tablespoons olive oil. If the smell affects you, you can also add a few drops of essential oil. 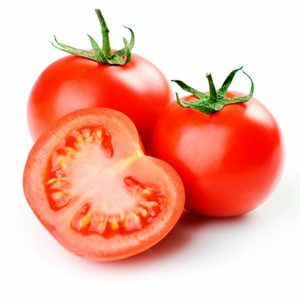 Tomatoes not only tasty, but they are also refreshing body care after a hot summer day! Rub in your body with the tomato scrub, leave to soak in and shower off. Puree a handful of fresh grapes and mix with a little honey. Gently massage the grape scrub on the face, leave for about 10 – 15 minutes and rinse with water. 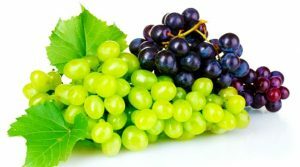 Grape extracts radiate your complexion: they stimulate the blood circulation and get your skin going. Enzymes are made from fruits such as papaya and split protein building blocks. Correctly this effect is used in the so-called enzyme peeling – also called enzymatic peeling -: Dead skin cells can be washed off easily after a contact time of about 10 – 20 minutes. An enzyme peeling not only cleanses, but also slightly disinfects and is therefore particularly suitable for impure skin with pimples or acne! 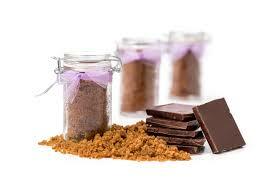 Mix 1 cup coffee grounds, ¼ cup natural yogurt, 2 teaspoons honey and 1 teaspoon grapeseed oil. Mix Add 2 tablespoons of wheat bran, with 1/8 liter of water. apply the mass to the face. Gently massage and leave for about 5 minutes. Then rinse with lukewarm water. 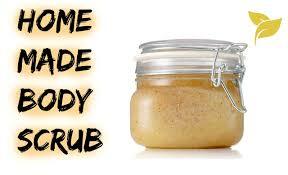 This scrub has a high healing effect on blemishes and prevents the formation of new pimples. Stir in 3 tbsp yogurt, 1 tbsp oatmeal, and 2 tbsp grated orange peel. Put the mixture on the face and massage on the skin for a few minutes. 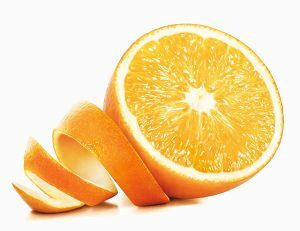 The fruit acids from the orange peel remove dead skin cells well. You can also use the scrub as a facial mask if you leave it on for about 15 minutes. Mix 4 – 5 tbsp of unsweetened natural yogurt with the same amount of grated almonds and 1 tsp of honey. Apply the mixture thickly to the face and let it work for a few minutes. Then rinse thoroughly. Crush a banana and mix with a quarter of mashed papaya. Mix 2 tablespoons of sugar and a little honey. Grate half an apple and mix with 1 – 2 teaspoons honey and 2 teaspoons poppy seeds. Massage the face thoroughly with the mixture and let it work for up to 15 minutes to absorb the vitamins from the skin. So you have exfoliation and facial mask in one! Commercial ready-to-use scrubs can remove moisture from the skin if they are too “aggressive.” Make scrubs yourself is a great alternative here and with our recipes, your skin is silky smooth. As with the facial peeling, we recommend a body scrub 2 – 3 times a week. By the way, as the body skin is not finely structured as the facial skin in most areas, you can still work with a bit more pressure when massaging. Here are our favorite self-made Body Scrub Recipes. Mix a few spoonfuls of cane sugar with a dash of olive oil as needed to form a viscous mass. 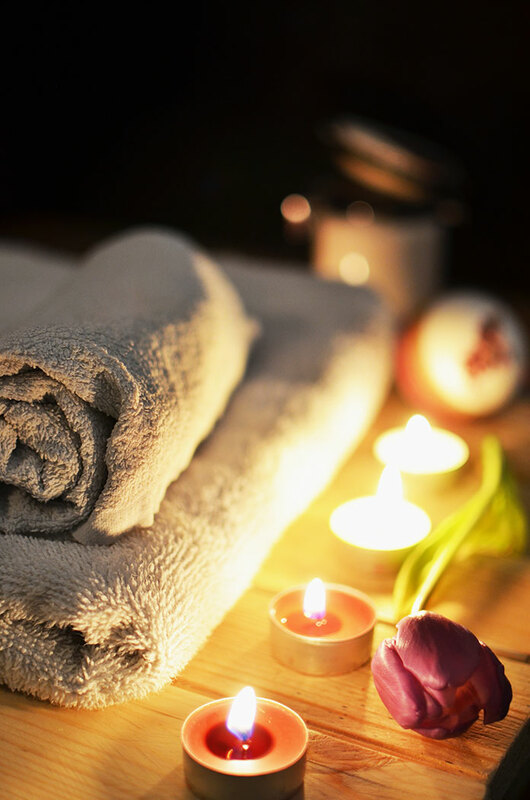 Massage under the shower in circular movements into the skin and rinse again. The sugar peeling also helps great on the cornea (for example on the heels): To do this, let the mass last longer (at least 5 minutes). 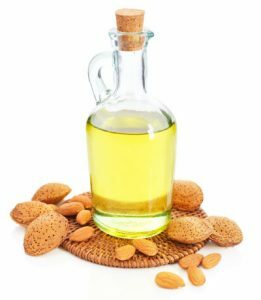 The olive oil nourishes the skin retroactively – a body lotion is then no longer necessary. Mix 5 tbsp grated coconut with 1/8 liter of cream and 1 egg yolk, 1 tbsp finely ground almonds. 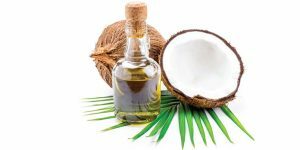 This exfoliation not only makes the skin nice and tender but also makes your body smell deliciously like coconut: Apply the mixture (preferably under the shower) to damp skin and massage in the peeling for a few minutes. Then shower off thoroughly. 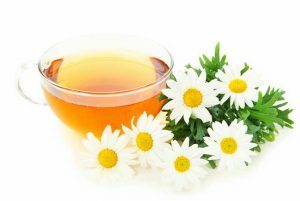 Mix 1 – 2 cups of healing clay with water, chamomile tea or flower water and spread the mass liberally on the body. apply it, Let it perform for 15 to 20 minutes so that the healing earth can take effect. The skin is thoroughly rid of impurities, it smoothes and tightens, is better blood circulation, and the natural acid mantle sets in. Then rinse thoroughly. 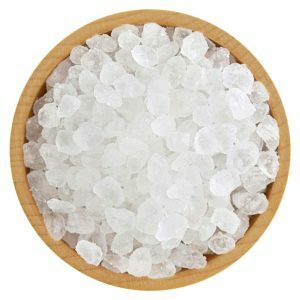 Mix 1 cup of harsh sea salt with a little water or milk. Gently rub the skin with it: The old removed dander stimulates the blood circulation and thus improves the appearance of the skin. Mix heat honey in a pot at body temperature and add enough coarse sea salt to make a thick pulp. 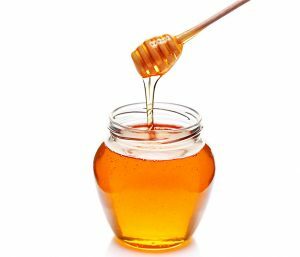 Honey has a bactericidal effect and is therefore anti-inflammatory. For a proper spa treatment, you that rubs well on the dry skin. If you then climb into the warm bath, the scrub will turn into a soothing health bath! 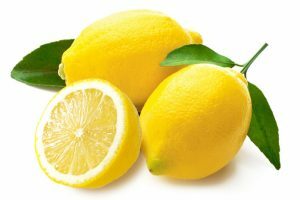 apply the mix, Lemon not only pampers the skin but is also rich in vitamins and minerals. The beautiful crystals of sugar additionally gently liberate the skin from horns and supply it with moisture. Apply the mass to the face, neck, and shoulders and gently massage in. If you leave the peeling on the skin for at least 10 minutes, you have also made a great face mask yourself. Mix 2 tbsp sugar with 1 tbsp jojoba oil and 1 tbsp milk. Stir 1 cup of couscous with 3 tablespoons of olive oil and heat the paste in a saucepan. This Asian body scrub is a real insider tip! Massage the body with it, let it react briefly and rinse off. The olive oil has an antibacterial effect, and the couscous gently removes dead skin cells. The skin then feels wonderfully velvety and soft. Would you instead buy a scrub? Most of the scrubs you can buy in the drugstore are so-called “mechanical peels.” They contain small granules and stimulate the circulation and the natural desquamation of the skin. Mechanical peels are usually cheap and easy to use. Unlike a “chemical peel” the mechanical peel is much milder and gives a pleasant and improved skin feel immediately after application. But beware: Many of the peeling particles in purchased products are made of plastic and are harmful to the environment. In contrast to mechanical peels, chemical peels penetrate deep into the skin: they stimulate the formation of collagen and thus the tightening and smoothing of the skin. A chemical peel contains various types of acid, such as fruit acid. However, this method belongs in expert hands, as it can cause skin burns as well as burns with scarring and pigmentation disorders.